What Comes Out and What Stays In? The vast majority of retailers have their liquidation loads processed by a jobber. Many retailers consolidate their shelf pulls and customer returns and send them to jobbers/processors. The items are scanned and/or sorted into categories like electronics, housewares, tools, etc. Many of the items are now removed from the loads for sale on websites like eBay, Amazon, etc. The majority of loads on the market are processed. There are not many unprocessed loads anymore. Most retailers are hurting from a competitive marketplace that is cut down on their sales and profit margins. They have been forced to tighten their belts and cut down on the losses absorbed by unsold inventory and customer returns. They have discovered they can get much better returns by retailing the better items online. unprocessed loads are liquidation loads where the unsold inventory and customer returns are arbitrarily loaded up on pallets with little to no priority to condition, categories or values. These tend to be the most complete loads with little to no product removed for sale on websites or other portals. There are only a few like this left. Loads where some categories are sorted and separated like clothing and hardgoods. Usually the less processing the better. 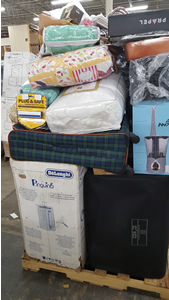 Some items may be removed from the loads for sale on websites and other portals. Loads where the majority of items are categorized, sorted, and scanned. Many jobbers have formulas to identify which items are best to retail off on eBay and which are best to leave in the liquidation loads. Most of the unsold inventory and clean customer returns can be removed for sale on retail websites or in small category lots which can bring high returns on some auction websites. Heavily processed loads can have high damage rates and low retail values. the more e the inventory is handled, the easier is to remove the better items. DC or Distribution Center loads are items that are supposed to come from the distribution centers of the retailer and not from the stores. They consist primarily of overstock and box damage items. They should not have customer returns but a few can find their way into the loads. These loads are usually very desirable and clean. Many jobbers/processors sort the loads into damaged and undamaged items. 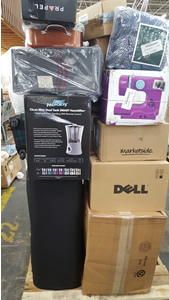 After that the undamaged items are sorted into select categories that commonly include electronics, housewares, tools, hardware, HBA, new product, and others. 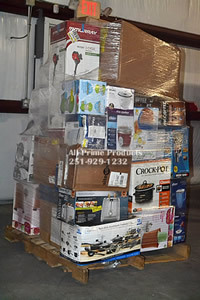 Many of the undamaged items are removed from the loads for sale on 3rd party websites. This practice has increased greatly over the past few years with the growth and popularity of retail and semi-wholesale websites. Processed loads make up the vast majority of loads on the market. Some GM loads are sold by competitive bidding on semi-wholesale auction sites. 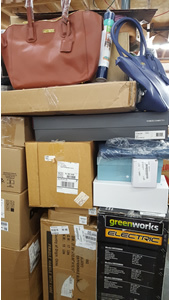 Many of these Processed loads are usually low retail and can sell for $5,000 to $7,000 but the retail values are too low for the cost and you can easily have %50 or more cost per retail dollar in them when figuring in damages,MSRP overstatements, and unsellable merchandise. Some of these online auctions have thousands if not tens of thousands of bidders that only need a sales tax ID number to register. This leads to lots of uninformed bidders that don’t understand liquidation products and run the bids up on loads well past the point of profitability. Do you really want to compete with tens of thousands of people for your store inventory?